Follow these steps to add Zopim to your Blogger.com page. Open the dashboard by clicking on your blog. Select Template > Edit HTML. 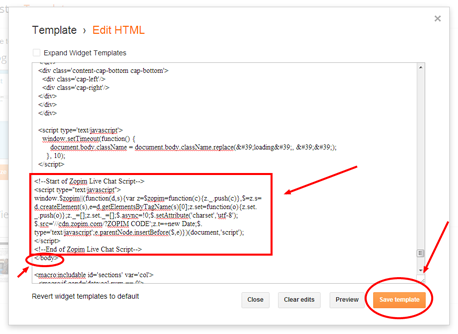 Paste your Zopim embed code just above the </body> tag, then click Save template.